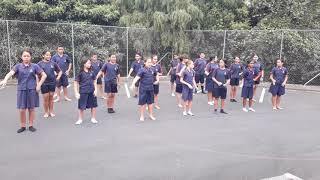 Each Friday the students of Room 6 have been participating in Maori lessons with Matua Hayden. We have learnt about tikanga, karakias, himenes and waiatas. 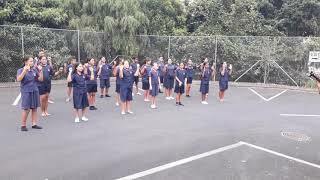 Matua Hayden has also taught us some really fun games that involve using Te Reo Maori. Kia ora rawa atu Mrs Thakur and Miss Geaney for leading a session about Tī rakau. The children worked so well together to create a sequence of movements with tītītorea. Kia ora rawa atu Miss Popata and Miss Maria for guiding our students through the weaving process. It was an amazing experience and the students were so proud of their creations! Kia ora rawa atu Miss Cutler, Mrs Peram, Ms Luz and Miss Hall for supporting our students to make Paraoa parai (fried bread). A beautiful aroma filled the school and smiles covered the faces of all who took a bite. Delicious!